Gracia all you can eat and drink buffet. 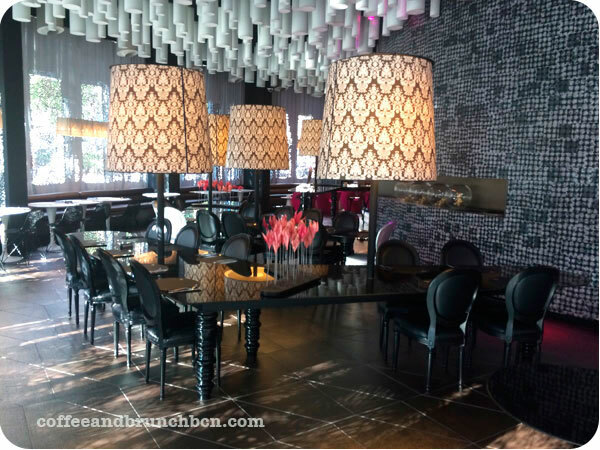 Hotel Barceló Raval B-Lounge big brunch buffet group booking welcome drinks. Buenaventura Organic Brunch in Barcelona Downtown. An after wedding brunch is a great way to make sure you get time with all your guests after your Barcelona wedding. Expert brunch blogger Claudia will tell you all about her favourite brunch venues in Barcelona. My name is Claudia, I’m the author of the blog Coffee & Brunch and since I’ve been writing about brunch in Barcelona for the past 5 years, I’m also know as the “brunch expert” in town. What I mostly liked about this place is the restaurant itself. It’s not too big, but big enough to accommodate groups. The acoustic it’s just create, so that even if there are many people around you, it doesn’t get too loud and you can still enjoy a pleasant conversation. I also had the feeling that the tables are bigger, which gives you certain personal space. The buffet is generous and you can also order extra mini dishes. The service was also very friendly and professional. The price is 29€ for adults, 22 euro for children between 9 and 14, and 16€ for under-9s and you can enjoy this brunch on Sundays between 12:30pm and 4pm. Finally, I’d like to point out that after the brunch you can have a little rest on their terrace with swim pool. If you are already convinced with this option, you can make an online booking through this link. 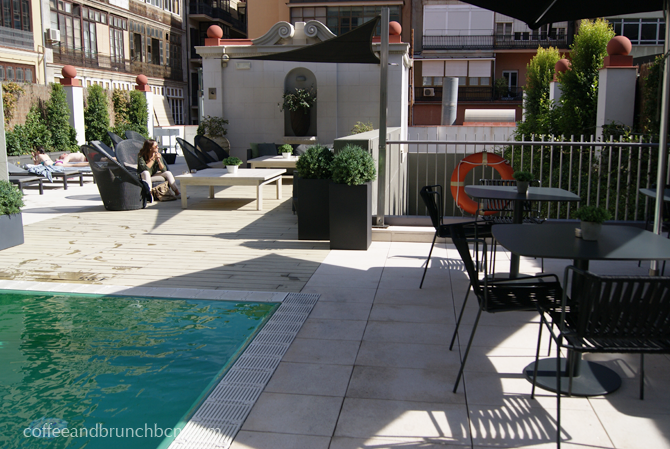 This hotel is located right on the Rambla del Raval and it’s famous for its 360º view of Barcelona. You’ll enjoy their all-you-can-eat buffet on the ground floor of the hotel in a big space with capacity of 125 people and you’ll be kept company by the music of a DJ. They offer their brunch on Sundays between 12pm and 4pm. The price is 25€ and includes coffee or tea, a mimosa or a Bloody Mary, and eggs Benedict or florentine. After the brunch you can enjoy a drink on their terrace where there is also a small pool and walk around the terrace to see Barcelona from different point of views. You can book this brunch from this direct link. This is another famous brunch with buffet in Barcelona with a pretty higher price (Adults 59€ with Champagne Moët & Chandon included; Children – 4 to 12 yo – 29 €; Free for children 0 to 3 yo.) and it’s served on Sundays between 12:30 and 4pm. I personally haven’t tried it yet, but you can read more and book a table at this link. 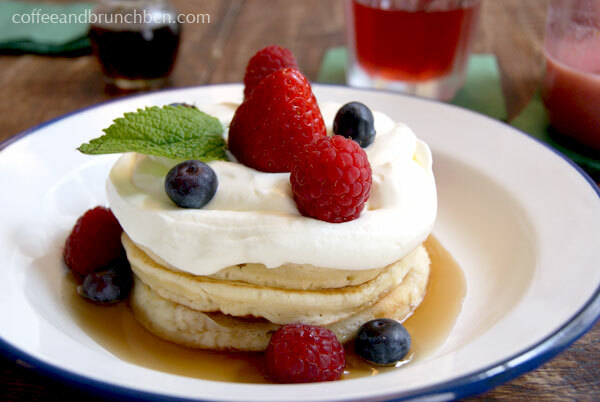 This is perfect if you would like to discover tropical flavors in typical brunch dishes. They also serve delicious and colorful smoothies in a large space with lots of natural light. They serve brunch daily from Monday to Sunday until 7pm. This place is usually pretty busy, so it’s important to book a table. 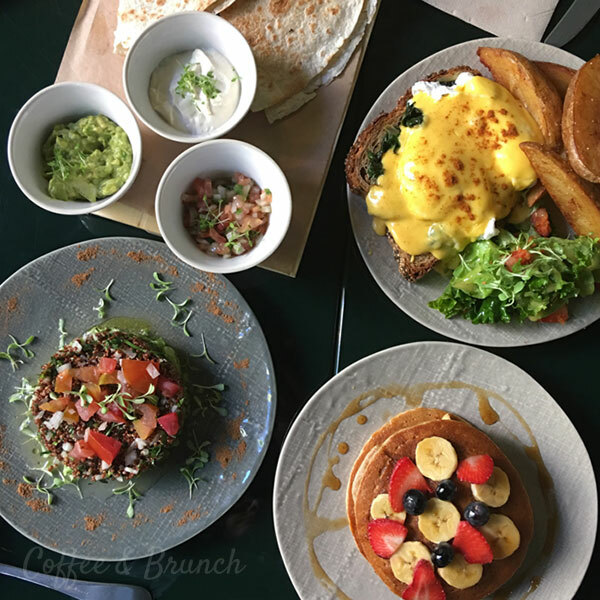 This is one of the few brunch places that offer an ecological brunch in Barcelona with a lot of healthy and vegan options. The place is big enough for groups but don’t forget to book your table. They are located very close to the Arc the Triumf and they offer brunch Monday through Saturday until 4:30pm. This was one of the first restaurant in Barcelona to offer brunch and they do have some experience in it, always improving and offering new options like their brunchtails (cocktails for brunch). You can book a table at their Born restaurant which is located in a beautiful square far away from traffic and with a great terrace. Brunch is served every day of the week and throughout the day. If you are also looking to enjoy a great coffee while in Barcelona you might be interested in visiting cafes in Barcelona that offer Specialty Coffee. In that case you can read my post about cafes with Specialty Coffee in Barcelona.